Although hunted by hyenas, hunting dogs, leopards and cheetah, the lion is the most prevalent predator of the zebra. When a group is attacked, the individuals will gather close together assisting one another in defense. They fight hard by kicking and biting. A single strong kick can be deadly to a predator. 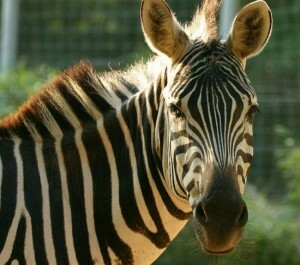 If a zebra is able to escape a predator in the first 100 yards of the attack, it is usually safe from harm.